Thank you for choosing MediaPress User Watermark addon. A user can view all their circles from their profile circles page. Depending on the configuration, the circles page will be either a top level page on profile or under friends. BuddyCircles allows users to filter activities by their circles. From the profile they can visit Activitiy->Circles tab and filter the activities by circles. as shown below. 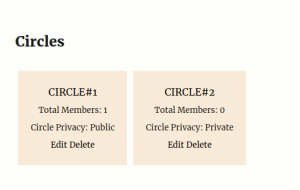 From Members directory or user profile button:- Here you can create the circle instantly from the circles popup as shown below. You can access the BuddyCircles settings from Dashboard->settings->BuddyCircles. The settings screen allows you to control the behaviour of BuddyCircles. Thank you for using BuddyCircles, The BuddyPress User Circles plugin. It’s very easy to install the plugin. Register a new media size. This function is used to register a new media size. Show the pagination count like showing 1-10 of 20. This function does not take any parameters. This function does take any parameters. It return string of pagination text. This function doesn’t take any parameter. Build the attributes( property = value ) for the media anchor element. ?php $args = mpp_get_media_html_attributes(); ? Prints the media anchor html attributes. Returns the css class list of current media. Prints the css class list of current media. 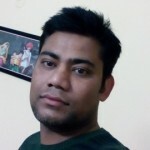 Returns the user id of the person who create the current media. ?php $author_id = mpp_get_media_creator_id(); ? Prints the User id of person who create the current media. Returns the last modification date of current media. Prints the last modified date of current media.